Hey there friendly people - happy Friday to you! Anyone out there holiday ready? I feel SO far behind. 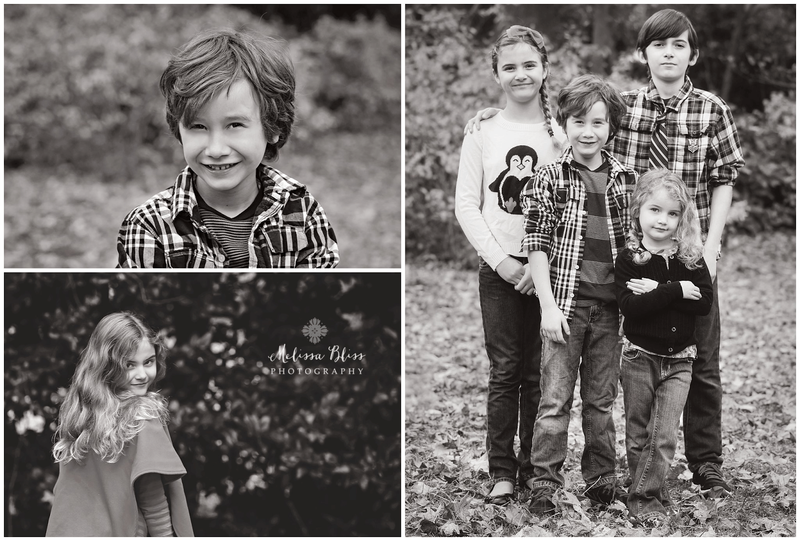 This week I'm sharing my failed attempts at a Christmas card for our family. After weeks upon weeks of shooting, editing and delivering family portraits for many clients, I realized that I'm really down to the wire on putting together something for our own Christmas card this year. 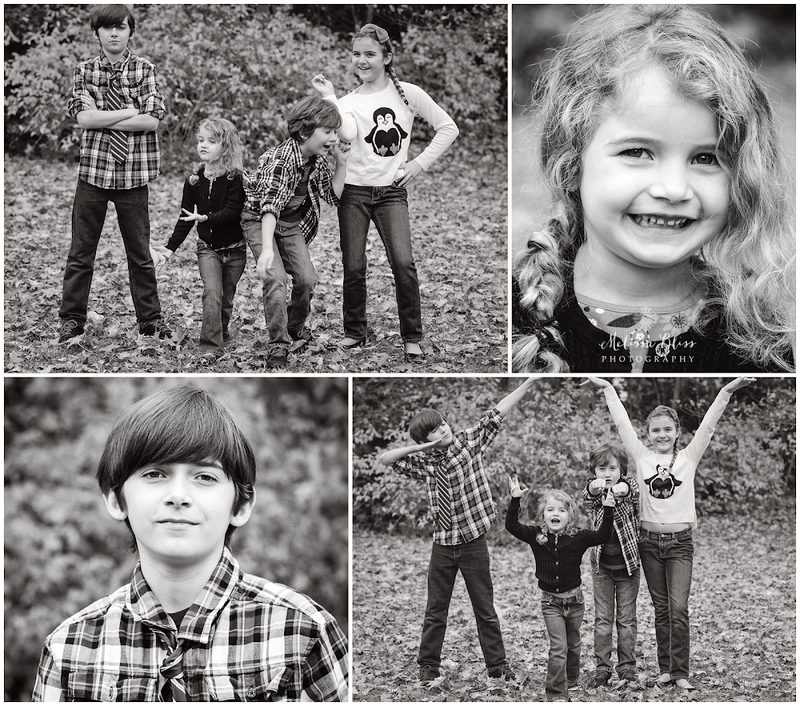 So, I took 20 minutes away from my work and begged the kids to put on some decent, plain (no crazy patterns or big logos) clothes, comb their hair and head to the back yard for a quick portrait. Of course my pleas were met with obstinacy and whining. Just as I expected. I don't even like posing them for photos. In fact, I'm not crazy about posed photos in general, so why on earth I would put them through this ridiculous exercise, is really the question. I suppose it was the time crunch and the (self) imposed pressure to spit out a perfect holiday greeting for friends, family, neighbors, clients...I am a photographer after all. Had I planned ahead or squeezed out more time in my already sardine-canned schedule I would have created something more meaningful, and definitely more natural. At least they were being themselves. I mean the personalities pretty much shine through even despite my worst efforts. All I can say is - we may go with a graphic card. And, I love these nuts. I think these are beautiful. Definitely much, much better than posed shots. look how great these are! At least you can get your oldest kids in the photos! My son absolutely REFUSES to allow me to take any photos of him - nothing - if I try - he slaps at my camera! Boo on him! These are so great, Melissa! They're a lively bunch! Okay - I so feel the same way. The pressure to create the perfect card - because I have the ability & equipment to do so was just too much. I waited far too long to get it done- every weekend was either 10 degrees or rain/snow. Neither of which are good for getting happy faces. So I decided to cut myself some slack & just not do cards. I have a plan for those special & close to me - the others probably won't notice anyhow. You know - it feels good to let the pressure off. As for these pics & your card - I absolutely LOVE the funny poses & faces. I would probably use one of those. It shows them being THEM. Which is PERFECTION. Love you my friend! Think of you all the time - feeling the pull to clamp down on the crazy schedule here & reconnect with my dearest friends. Love & hugs! Miss ya! I think you couldn´t have taken a better shot of your children!!! beautiful... all of them!